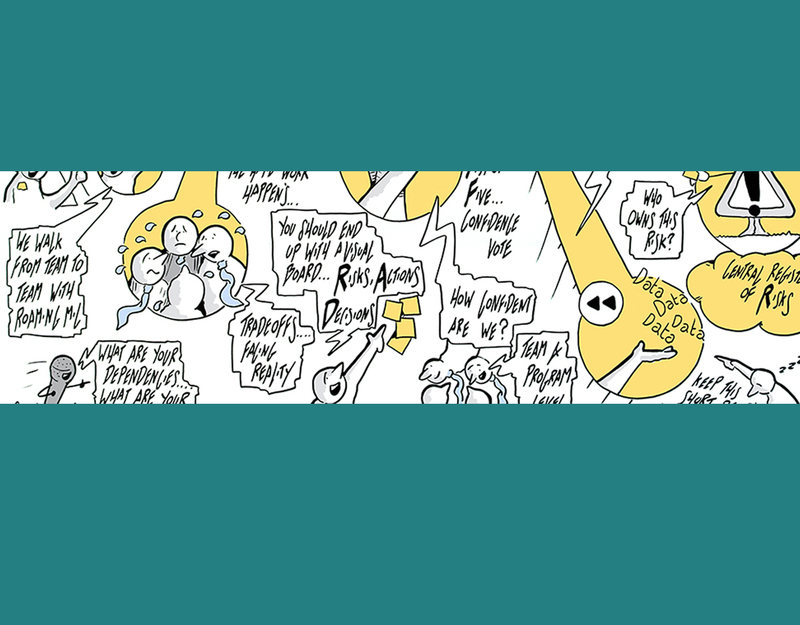 CoActivation launched in September 2017 with a team well known both in Australia and abroad for its prominence in the world of the Scaled Agile Framework (SAFe). It was founded by Mark Richards, who has a long list of firsts when it comes to SAFe. He coached the first Australian implementation at Telstra and was one of the first class worldwide to be certified as SAFe Program Consultants when the framework launched in 2012. He went on to become the world’s first SAFe Program Consultant Trainer (SPCT) and co-found the SAFe consultancy Context Matters in 2014, then in 2017 was formally recognised as a SAFe Contributor and became one of the first 4 people outside Scaled Agile Inc to be recognised as a SAFe Fellow worldwide. In that time, SAFe has become the dominant approach to scaling agile in the industry with over 40 published case studies from organisations such as Phillips, Sony, Cisco, Intel, Lego and John Deere internationally and Telstra, RMIT and Westpac locally. 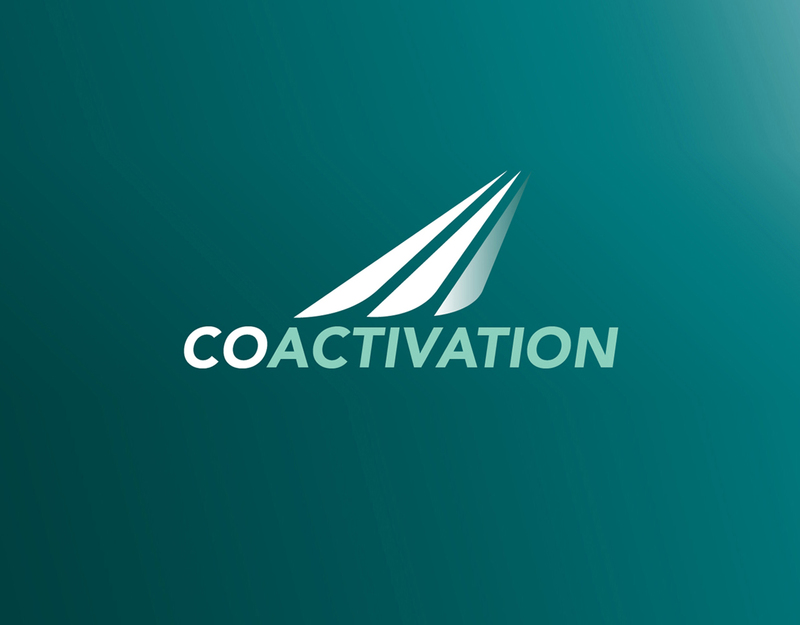 As a boutique consultancy, CoActivation recognises that an enterprise-level implementation will require collaboration and support from multiple coaching and training providers and effective partnering with major systems integrators. Further, to be sustainable it must build an effective Lean Agile Centre of Excellence (LACE) and internal coaching capabilities. With a motto of “Collaboration over Competition”, our small team of experts contains no member with less than 5 years practical SAFe experience and a primary focus of strategic enablement and alignment of both the enterprise and the providers who support it. We are big fans of Patrick Lencioni’s book “The Advantage” in our work coaching Leadership Teams, and have used his “Critical Questions” for leadership teams to frame our vision. The Customer Shines: Success for us is a customer standing on a stage describing the amazing changes that have taken place in their organisation. Sustainability: We succeed by becoming redundant. Our customers go on to greater success after we leave. We Practice what we Preach: The way we work as a company is congruent with Lean|Agile values and principles. Our People are our Brand: Customers, whether existing or prospective, ask for our people not our company. We enable successful, principle-based SAFe implementations. 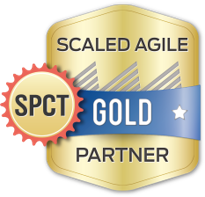 Our primary focus is supporting organisations implementing the Scaled Agile Framework (SAFe). However, there are many challenges an organisation faces in pursuit of enterprise agility that need extended tools and techniques and we believe in maintaining and continually extending our toolbox. We offer both training and consulting services, and have listed our primary offerings below. However, if you are in need of something special please don’t hesitate to contact us and we’ll be happy to explore your need. 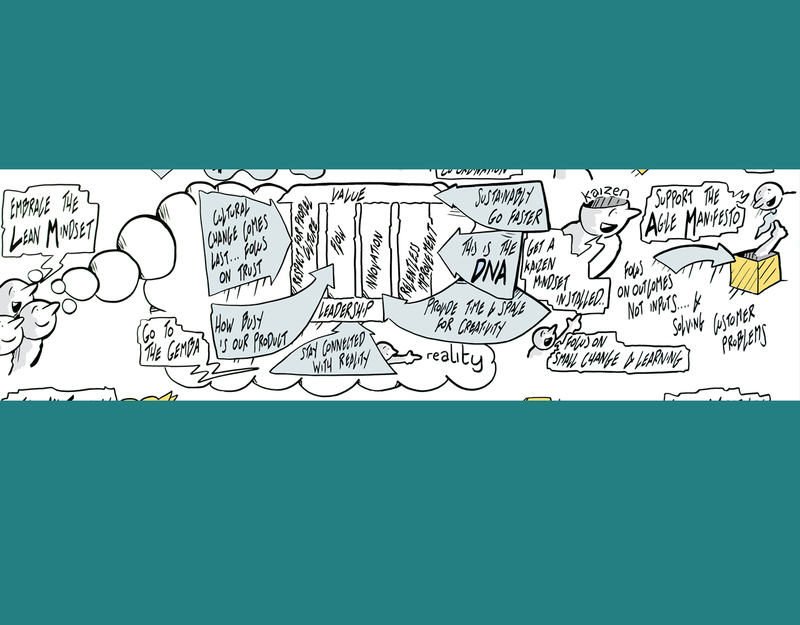 Mark’s contribution to Scaling Agile in complex organizations is almost unparalleled. He has worked with numerous Enterprise customers across most industries both here in Australia and across the globe. Mark’s expertise and results are anchored in the Scaled Agile Framework (SAFe), but are strengthened by his passion, depth of knowledge and his unique outcomes focused facilitation style. Read more..
Catherine Haugh is a successful and responsible agile leader with extensive experience in the information technology arena. As a portfolio manager within RMIT University’s IT operations, Catherine was a key driver of RMIT’s adoption of Agile practices and the Scaled Agile Framework (SAFe). Karina has spent close to 20 years in the Learning and Development field, both creating and facilitating training programs. For the past four years, she was an integral part of Telstra’s agile transformation. As a member of the Agile Change Team, she was involved in both the creation and facilitation of the Agile, Systems Thinking, Lean and Kanban training suite. Read more..
Mark was easy to listen to and understand. He presented with a comfortable ease and gave the group great examples and insights from his experience. Mark was a very knowledgeable presenter who was able to answer all questions posed and respond to comments with insight and expertise. It was obvious he knew his stuff. Mark’s presentation style was very good, presenting the subject matter in an effective yet fun way. This inspired the attendees; keeping them focussed and willing to participate. He was not overly invasive, reading students capabilities and treating them accordingly. Mark always puts a real life spin on things and allows the discussion with the group help answer questions among oursleves. Mark, you bring a wealth of applied experience to our coaching sessions. Mark has so much real world experience that really brings the material to life. Mark is exceptionally knowledgeable, it’s clear his depth of knowledge and experience is well beyond the training material. Mark is an exceptional trainer, he obtains input from everyone and complements the training materials with his own interpretation and experience which genuinely helps people to leave with inherent understanding rather than trying to memorise. Mark is always a great teacher to have with any SAFe course; his practical experience and real-life examples from current and previous projects that he brings to the classes are great. Mark is extremely knowledgeable and has a knack for framing information in such a way as to get people in the right head space. A big advantage of this course was Mark’s ability to relate SAFe to the Australian Public Service context, and use specific and realistic examples of how to practically apply SAFe is the unusual environment of government. Mark’s experience in SAFe showed in his delivery of the training. There was underpinning framework, but it was made real by the examples. Mark demonstrated a broad knowledge and experience in the industry been at the ‘coal face’ as a developer as well as having considerable experience in transitioning from a waterfall to agile. Mark engaged the group, encouraging and facilitating discussions arising from the various topics. His knowledge is very vast & he is able to convey it in an easy to understand way for new people to grasp. Mark was very good at giving us the key knowledge to allow us to complete our group tasks. I found his methodology very insightful. Was not always glass half full which was pleasing. Also discussed how things can go badly & the pitfalls of poorly implemented SAFe. Mark’s grasp of both the SAFe content and real world examples in the context of departments like ours was exceptional. Mark easily engaged with the group & managed to keep the sometimes dry tpoics interesting. Brilliant. The examples were some of the best and most useful that I have used in a training environment. While manufactured, they allowed us to have meaningful conversations about how similar scenarios might play out in the real world (esp. the shared resources example in the town building exercise). Doubt there would be many others with the depth of knowledge Mark conveyed! Great and fantastic use of case study materials and examples. Mark was very adaptable to the demands / needs of having a room full of executives with clashing appointments and interruptions. Tailored the content to ‘catch up’ when necessary. Mark provided really good examples and could further clarify or explain when any questions were raised. Mark has an extensive knowledge of the subject matter and clearly loves the topic and his ‘day job’. Mark was able to provide great context for the development of agile and technical aspects of extreme programming. Would not be where we currently are in this process if not for Mark. Mark is able to come at the knowledge from multiple angles and help the majority of people in the room from either a technical or business perspective. Mark was great, he helped our team so much with his extensive knowledge, such a good facilitator. Mark has a calm yet compelling presence and supports the room to help each other. Mark demonstrated excellent knowledge. He was able to back up theory with many examples from his own experience. Mark had a wealth of examples from his experience that he could bring to make the theory come to life… very good facilitator. Mark has extensive knowledge of SAFe, providing many real examples of artifacts and photos of SAFe in practice. Something that was very useful of explaining how it was implemented at different places. Mark is an exceptional tutor for this course. HIs teaching is not just academic but based on a huge depth of real world client engagement and delivery. Mark was able to bring the subject to life bringing many real world examples that put the theory into practice and helped me to relate to the challenges that my client are having with their SAFe adoption. Mark has clearly participated in the delivery of SAFe many times. He was able to source several war stories which he threaded through the training to illustrate the “do’s” and “dont’s”. Mark demonstrates his vast experience in the field with software development in all his teaching. He teaches theory intervened with lots of practical examples and is also open for discussion of client-specific situation and examples. Excellent. Extremely credible presenter, with complex topics backed up with ‘real world’ examples of solutions. It’s a long time since I got so much out of a course – excellent! Deep understanding, you can tell that Mark understands the content and also implements in the real world. I appreciated Mark’s flexibility with the agenda to ensure that important discussions could run to conclusion whilst keeping the class on track and without sacrificing break / start / end discipline. I thought Mark was very engaging and keep the 2 days at the right level, the mix of presentations and group discussion/excercise was just right. Mark keep the pace of learning up for the whole 2 days, was approachable and gave a lot of real world examples. The best trainer I have had for any course! What could have been a very theoretical course brought to life by Mark’s extensive real world experience – highly recommended. Mark’s passion and genuine real life expertise brought the course alive and he did this whilst sticking to a strict to rigid (rather large set of) Powerpoint course materials. Created a safe learning environment for the group, using a healthy balance of teach, coach and mentor techniques. Great job. Very relaxed manner and makes the content “real” with great examples. I really enjoyed the course with Mark. Superb practical knowledge of SAFe; able to discuss the theoretical elements with real examples to provide clarity and context. I was a real honour to have Mark Richards with us for the 2 days. His tangible experience combined with his knowledge of the development of the Scaled Agile frameworks and methods was hugely valuable, it was an energised and engaging workshop and we all came away with enough knowledge to be dangerous!!! 20 senior people in a room is never easy, but Mark made it look to be. He allowed discussion to run on where important for just the right length of time which was really impressive. Excellent, allowing us to explore, whilst also keeping us on track. I would highly recommend others to go on a course run by Mark. Mark has clearly lived a breathed SAFe, and has the war stories to bring the methodology to life. Very good, lots of great examples. Always answered tough questions with a great response. Well done Mark! Fantastic linking of course content with the actual reality of how SAFe is implemented in the real world of transforming organisations. I really enjoyed the way Mark was leading the course, fantastic time management, ability to summarise important points, give real life examples. Mark is definitely a guru of the SAFe Framework. Mark was very engaging and had a wealth of knowledge on the topic. Unbelievable amount of knowledge in Mark’s head. You could tell Mark really knew his stuff, and where he didn’t, he was very honest about it. Ability to apply theory and concepts to real world experiences was most valued. Mark is awesome. He is having indepth knolwege of SAFE and very thorough knowledge. He is having lots of practical expeience in setting up SAFE release trains. AWESOME. That’s the only word it sums it up. Mark always provide previous experience example, excellent communication skills, very clear and effective coaching. The content and delivery of course material was interesting and engaging. Mark is a very talented educator and a joy to listen to. Thanks Mark for spending 2 days with us. Mark was able to answer all questions re. SAFe and gave really great examples, tools, techniques and games for us to use. Mark was able to provide interesting and deep knowledge about how this theory would be used in practice. I felt like I learned more from Mark than I had in a long while. The course flowed really well despite Mark’s need to cater for a diverse audience which different experience and skill levels. Mark has a tremendous amount of practical experience. It was great to hear about some of the real challenges with implementing SAFe based on Mark’s vast experience. Mark is well read, and has a great ability to relate that knowledge to topics or conversations within this course. Mark manages a large group well, keeps track of key conversations and knew how to contain the discussions that had a potential to go wild. Mark commands a great deal of respect in the class because of his thorough understanding and great knowledge of the content, this really helps to train well. Mark was exemplary. 10 out of 10. He has a wealth of knowledge and can explain it with clarity and humour. It was great having Mark, to come over from Australia was a privilege for us to hear his insights. His stories, experience and collateral was invaluable to the delivery of this course. Mark is without doubt the best of the best. Clear, approachable and engaging delivery. Made us think about the material from various viewpoints to assist in gaining understanding. Mark’s mix of excellent theoretical knowledge and his pragmatic take on Agile and SAFe was really useful and very easy to consume. Never short of an example or ‘killer question’. didn’t shy from the hard or unstructured questions. Very knowledgeable which is clearly evident in the delivery of the training she presented. Great Job Catherine – I thoroughly enjoyed it. The woman [Catherine] knows her stuff. Catherine is patient with questions and is good at encouraging the participants to interact. Both presenters were very knowledgeable and “real world” kind of engaging. The course was totally foreign to me but the content was delivered in a very practical way that I appreciated. Fantastic how she [Catherine] made an effort to make sure our remote team member participating via video conference was involved. She [Catherine] brought a non-IT perspective. Great presenter [Catherine] who clearly has strong experience. Being out posted, I like to say both Catherine and Karina did a great job in keeping me involved. I was still able to follow even without some of the physical materials. There were times where it was difficult for me to be involved in team collaboration, but that’s normal for anyone virtual chatting in. Karina always puts the learnings into real world scenarios and is open in sharing her experiences. Karina’s extensive knowledge of and enthusiasm for her subject matter was excellent. I liked Karina’s facilitation style, it was engaging which I find extremely useful especially when we were covering so much information. Karina’s wealth of time training and facilitating is very evident in her approaches.